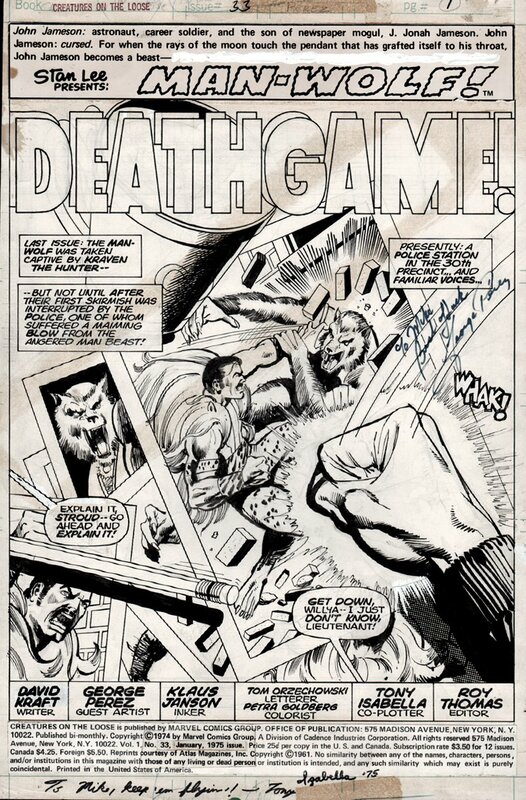 Check out this very HISTORIC SPLASH page, which was penciled by the great George Perez, and inked by the great Klaus Janson, from the story titled: "Deathgame!!" 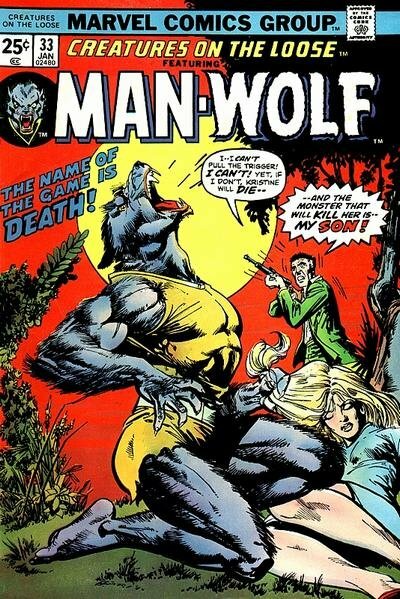 This HISTORIC SPLASH is the VERY "FIRST" splash page, drawn by the great GEORGE PEREZ, featuring a VERY NICE image of the Man-Wolf battling KRAVEN The Hunter! There is some light yellowing near the top of the page but no art is adversely affected. Splash is Signed by George Perez and writer Tony Isabella! Just a great opportunity here to own this HISTORIC FIRST GEORGE PEREZ splash!